Learning, broadly defined, is central to Am Haskalah’s understanding of what it means to be Jewish. We strive to be a community of life long learners, engaged in Talmud Torah, the study of Jewish wisdom, through everything we do. We appreciate that different people learn in different ways and we understand Jewish learning to encompass areas like Jewish cooking, literature, art and music, as well as more traditional areas of Jewish study including Tanach (Bible), Talmud (Oral Law), Midrash (Jewish interpretation), and Jewish history. 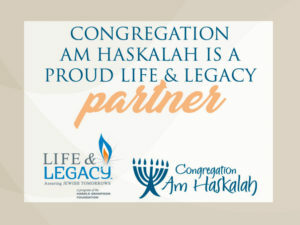 At Am Haskalah we also value the many other areas of learning – such as literature, law, science and other spiritual wisdom traditions – that our members bring with them into our Jewish study together. Come learn with us!